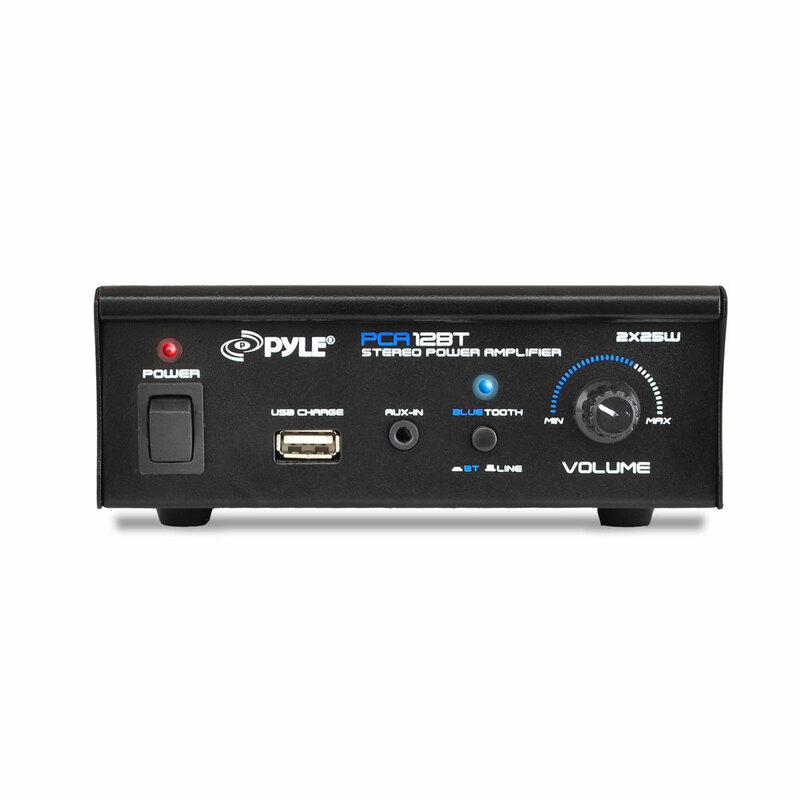 The Pyle Mini Blue Series mini stereo power amplifier provides up to 25 watts x 2 at 4 Ohms. 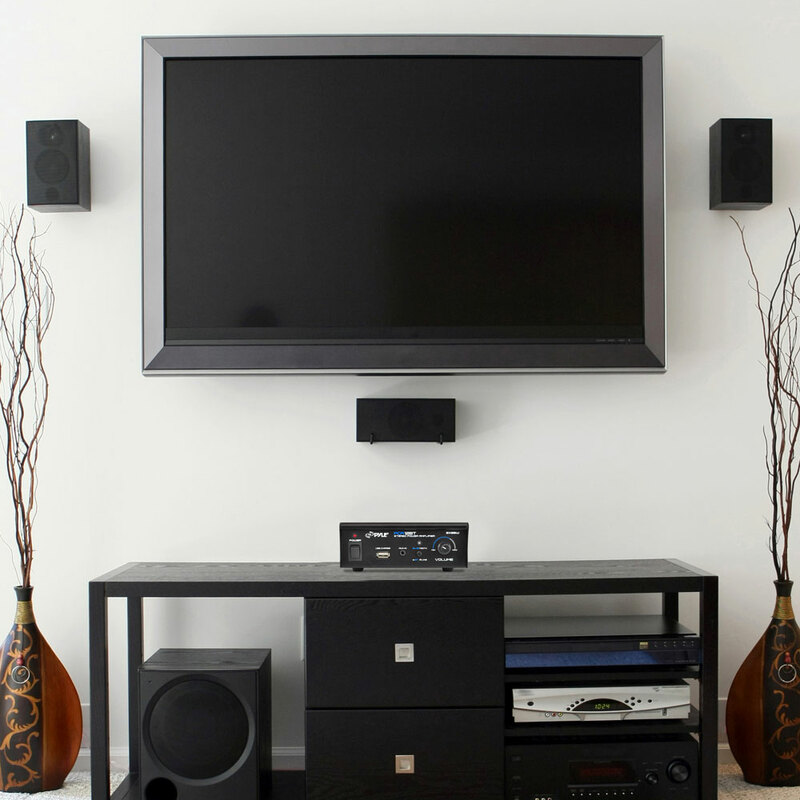 Built-in Bluetooth technology allows you to instantly stream wireless audio from your favorite devices -- quickly and easily. 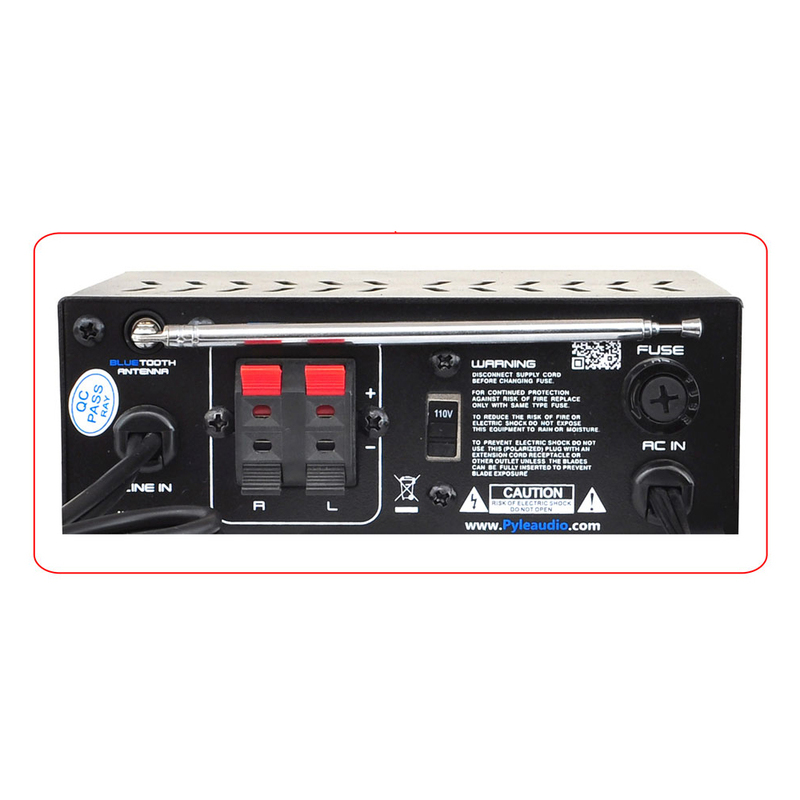 Connect external devices using the AUX (3.5mm) stereo input connector jack. 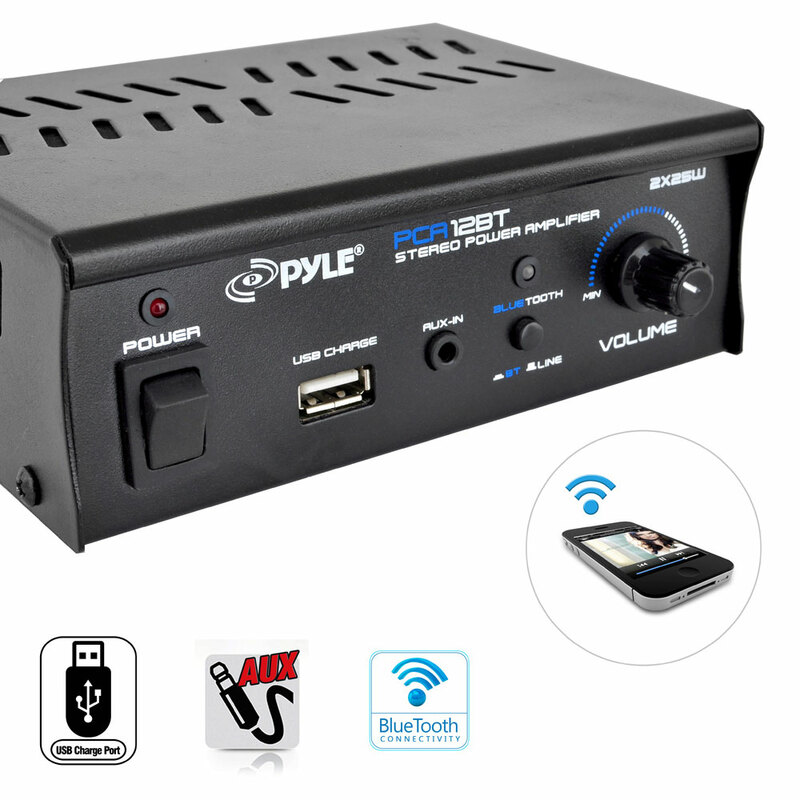 It's compatible with virtually any audio or computerized device (works with iPhones, Androids, Smartphones, iPods, MP3 Players, iPads, Tablets, etc.). Additional features include four push-type terminals for speaker connection, USB charging port, built-in short circuit and power surge protection, rotary master volume control and more. 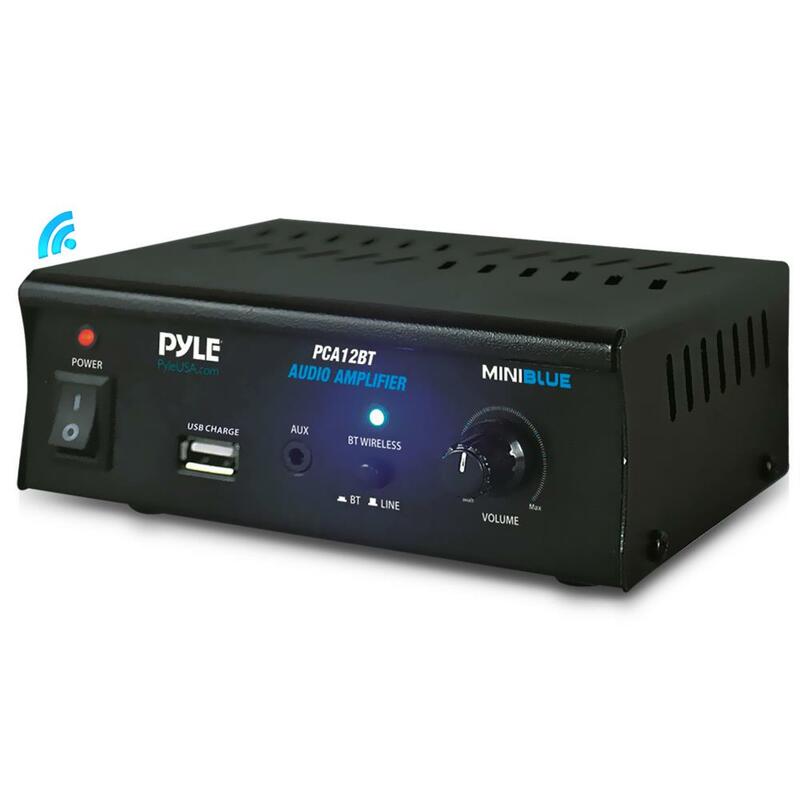 Enjoy compact and powerful wireless amplifier music streaming ability with the Pyle Mini Blue Series Bluetooth Amp.